Aviva has worked in community outreach and the not -for -profit sector for over 25 years. She has been involved with a number of initiatives/organizations including: Violence Overcome In Creative Ensemble, Voices of Children, The Toronto Jewish Film Festival, The Canadian Women’s Foundation and The Adoption Council of Ontario. She has served as a Trustee of the Zukerman Family Foundation since 1986. Aviva holds a Bachelor of Commerce (McGill '91) and a Master in Environmental Studies (York '96). Aviva is a mother of 5 children. In 2012 she and her husband met and adopted a 17 year-old daughter through the Toronto CAS. Aviva is interested in addressing the systemic changes that need to happen in order to better encourage, facilitate and celebrate older youth adoptions. With a degree in Psychology, Angela Krueger focused her studies on Child Development and Social Psychology. As a freelance writer she has written articles for Canada Adopts!, Adoptive Families Magazine, IMPrint – Infant Mental Health Promotion (The Hospital for Sick Children), RainbowKids.com, Creating Families Magazine and has contributed to adoption agency newsletters in Canada, the U.S., Australia, New Zealand and the U.K. In addition to writing about parenting and adoption, she loves to talk about her experiences as an adoptive parent in her roles as PRIDE co-trainer and parent program facilitator, as well as a panelist for various parent education seminars. She specializes in openness and transracial adoption, as well as attachment. She is currently pursuing Art Therapy training and hopes to use her studies to help promote attachment relationships within the adoptive family. Angela Sider brings to the Board the perspective of an internationally adoptive parent of two children who have exceptionalities. In order to meet the needs of her children, Angela has become an advocate in children's mental health by engaging in leadership aspects of the provincial organization, Parents for Children's Mental Health. She is a local Chapter Leader within the Kitchener-Waterloo region and participates and contributes in a significant way to family engagement and the family voice in local children's mental health services. As well, she is a Family Engagement Trainer providing education to service agencies on how to better engage families in supports and services to children. Professionally, Angela brings 15 years of experience in developmental services managing treatment group home settings for people with a dual diagnosis. She has a specialization in leadership and management with a Master of Arts in Leadership from University of Guelph. Most recently, she has been working as a consultant providing leadership direction and change management expertise to non-profit organizations. Betty is the founder of CANGRANDS KINSHIP NATIONAL SUPPORT http://cangrands.com , a national grass-roots organization dedicated to providing information and support to the 75,000 kinship children being raised by grandparents and other kinship family members. Betty is the mother of two grown boys, one who is forty-six- years-old but due to multiple disabilities, remains at the developmental level of an infant. Betty has spent nineteen years raising her granddaughter Asheleigh, after gaining custody. Despite FASD and a spinal disease, Asheleigh is studying justice studies at Durham College. Betty has also fostered thirty-two children and is presently giving care to a twenty-one-year-old man with special needs. Carolyn is both an adoptive mom and a professor of philosophy at the University of Western Ontario. Her research at Western focuses on the ethics of assisted reproduction and adoption. Most recently, she was an invited participant to the International Forum on Inter-country Adoption and Global Surrogacy in The Hague, Netherlands. She also published the book Family-Making: Contemporary Ethical Challenges, co-edited with Francoise Baylis and put out by Oxford University Press (2014). For more on her research and writing, see her website http://carolynmcleod.com. In terms of her personal experience with adoption, she and her partner Andrew have adopted two boys internationally, one at the age of 3 and the other at the age of 5. Dianne is a proud mom to her only son Brenden who was adopted through private adoption when he was only 24 hours old. While their journey of adopting was not only very emotional, it lacked a support network which led them to face many challenges on their own. Dianne is looking forward to becoming involved with Adopt4Life, and is eager to share her knowledge of the adoption process through her own personal experiences and offer her support to all new adoptive parents. Currently Dianne is staying at home to raise her son Brenden. Prior to this she worked in the corporate environment with a major Financial Institutions for 17 years. Dianne is a true people person and has a passion for helping others. Erin is a proud mom of three beautiful boys, two of whom joined their family by adoption through CAS and privately. Erin and her husband, Alexander, have had to strongly advocate for post adoption services and support. Having a network of support resources and contacts has made all the difference. Experiencing firsthand the value of early intervention, peer support and knowledge exchange, Erin knows this is important for all adoptive families. Currently Erin is at home raising their youngest two boys and is an active adoption advocate involved with their local adoption connections and youth groups. After making the decision to breast feed their privately adopted son, she became involved in the adoptive breast feeding community, advocating for the benefits of breastfeeding and attachment for adoptive children. Prior to staying at home with the kids Erin worked as a finance and accounting professional and is a Chartered Professional Accountant (CPA, CGA). She also holds a Masters in Business Administration (MBA) to round out her business background. Seeking to balance family and career, Erin recently earned her Bachelor of Education (B.Ed) from OSIE at UofT and is an Ontario Certified Teacher (OCT) with an interest in obtaining special education qualifications. Heather has developed and implemented mentorship programs for youth transitioning out of the foster care and group home system. Focusing efforts on supporting youth to increase educational attainment (including high school graduation and post secondary) she has helped youth obtain tutoring, mentorship and scholarship support. Her program has entered its 3rd year in operation and demonstrates proven results in increasing employment and educational attainment. In addition to this, Heather has works at residential summer camp for girls with a history of abuse, trauma and or economic hardship. Focusing on the development of skills and introduction of new concepts to girls between the ages of 6-14 her current project works with the girls in areas of literacy, technology, conflict resolution. In this program Heather covers issues such as social justice, swimming level attainment and other camp activities such as canoeing, photography, camp craft, environment, crafts and dance. Having spent years learning about issues surrounding adoption and fostering (attachment, trauma, safeguarding, lifebooks, FASD and more), Heather now uses her knowledge gained to facilitate an adoptive parent support group, KW Adopts, and as a PRIDE trainer. Heather is also on the Board of Directors for her foster family association and is an active member of various focus groups and committees. Always seeking to make a difference for adoptive families’ journeys, Heather has become sought after for speaking engagements on the topics of openness and transitions. She has also obtained certification in Critical Incident Management and is a Level 2 Advocate. Gena has been a foster parent for 22 years, as well as bio, step and kin parent. Currently she and her husband Tony do Level 3 or therapeutic foster care. She holds positions provincially and nationally with foster care associations, and trains prospective foster/adoptive parents. She holds a degree in psychology from the University of Manitoba. Greg has been working in the educational field for over 15 years. As a teacher, Greg spent much of his career working to support Special Needs students in the mainstream and in contained, specialized classes. He advocates for parents who are navigating the difficult world of Special Education and accessing the supports necessary for their children to access the curriculum in a school setting. Now as a principal for a public school board, Greg continues to advocate for the students in his school and assist parents through the processes of identifying and supporting exceptional learners. Greg and his partner adopted their son in 2008 through a public, CAS adoption. His son has significant delays and special needs. Greg and his family currently live in Caledon and his son is part of the regular classroom setting at school. Greg continues to support adopt ready and adoptive families in their journey, often attending ARE and PRIDE training events. Julie has always advocated for those who sought to have their voice heard and needs supported. After fifteen years of non-profit advocacy work with various groups, Julie started her family. From a young age, Julie always felt her true mission in life would reveal itself through her children. So it comes as no surprise that after she adopted a sibling group of three older children, she found her true calling. As a new adoptive mom, Julie soon realized that much was needed to solidify the Ontario Adoptive Community and she has now dedicated herself and her career to creating positive changes for Adoptive Families. By forming Adopt4Life - The Ontario Adoptive Parents' Association, we are empowering our community, offering support and providing a unified voice so that our families needs will be heard. Together, we can bring effective change in policies that will allow adoptive parents to help our families and children to thrive. Kimberly is a Registered Social Worker with a degree from Ryerson University. In her previous position as a Care Coordinator at the Central CCAC, her role was to assist patients and their families in coordinating home/community supports to reach patient goals. Kimberly is used to working with diverse populations, including children, adults and seniors, with varying needs and cultural backgrounds. Kimberly is a dedicated and committed individual who focuses on the importance of advocacy and equity of supports for all. Lesli is a proud mother of 8 children; 4 by birth and 4 who grew in her heart. Lesli and her husband, Jeff, have been foster parents for over 15yrs and she has spent more than 10yrs working in child and youth mental health. Her passion makes her a strong advocate for youth in and out of care. She is the co-founder and executive director of Wraparound families, which seeks to find families and support within communities for youth who are moving on to independent living or have aged out of foster care. Lesli is also a PRIDE co-facilitator and continuously attends training related to addictions, attachment, trauma, FASD, advanced facilitation and more. 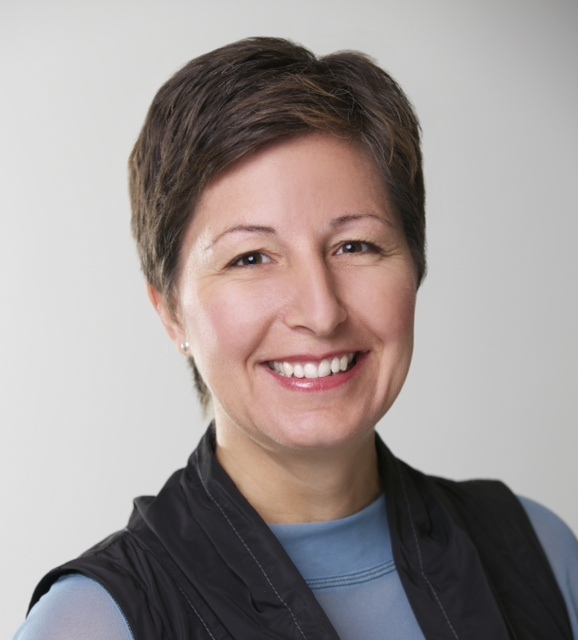 Dr. Hakim is a Registered Psychologist and Clinical Director at the Centre for Interpersonal Relationships (CFIR), a private mental health clinic in Toronto. She is an approved supervisor for doctoral psychology residents from Ryerson University, University of Toronto, University of Waterloo and York University. Dr. Hakim’s clinical practice includes assisting individual adults and couples dealing with difficulties related to mood, anxiety, trauma, addictions, pain and sexual difficulties. Her particular areas of interest and expertise are couples/marital therapy, family-building (adoption, fertility) and parenting. She is a provider of psychological assessments for International adoptions, and has been asked to perform psychological assessments of caregivers for the Children’s Aid Society. She also provides assessments and counselling for fertility clinics (e.g., fertility concerns, ovum/sperm donation, surrogacy). Professionally, Dr. Hakim serves on the Editorial Board for Creating Families Magazine and has published peer-reviewed articles and chapters (Human Reproduction; Handbook of Person-Centered Psychotherapy). She has served as an Executive Committee Member of the Counselling Special Interest Group of the Canadian Fertility and Andrology Society and has chaired sessions as well as awards and research committees. As part of her ongoing professional development, she is involved in Adoption Competency Training through the Adoption Council of Ontario. Lisa is the founder of Healing Hearts. Lisa offers in-home emotional support, assessment and coaching for families who are facing significant struggles with children in crisis, specializing in adoption. Lisa spent 13 years working in group homes, secure custody, and with the London and Middlesex Children’s Aid Society. She has invaluable experience in efficiently assessing and supporting foster and adoption families. This lead her to establish her own business in order to more fully impact the lives of families who are struggling by increasing her skills to any family that needs some support. Lisa has co-authored the book THE PROMISE with Christen Shepherd, author and adoptive parent. Lisa also is a certified Yoga and Yoga Tune Up® Teacher which she uses to assist others in relieving stress and restoring peace within themselves. Lori and her husband Mark are the adoptive parents of a 13 year old boy from the Children’s Aid Society. Lori is the newly appointed Principal of St. Alfred Catholic School in Mississauga Ontario. She has been an educator within the Dufferin-Peel Catholic District School Board for 25 years. Lori has taught various grades and she has been involved in special education in a number of school communities. Lori was instrumental in developing and implementing a free drop-in centre in a high risk community in the Region of Peel. Lori’s interests include the impact of trauma on children’s learning and older child adoption. Lori is part of an AdoptReady couple living in Toronto, Ontario. They have been waiting for a match since January, 2014. During this time, Lori has been active in efforts to reach out to politicians and interested parties on the issue of improving the adoption system in Ontario, in particular shortening the time from fostering to forever family. She takes her inspiration from the revised adoption system in the UK and would like to see similar initiatives in Canada. Lorie is the Founder and Lead Therapist of Family First Play Therapy Centre Inc, in Bradford, Ontario Canada, a centre focused on assisting children and families dealing with attachment, trauma and emotional and developmental issues. She is a Certified Child Psychotherapist Play Therapist Supervisor and a Certified Theraplay® Therapist Trainer Supervisor. She has extensive training in working with adopted and foster care children who experience attachment related issues and trauma. Along with her private practice in Canada, Lorie is part of the Theraplay Institute’s International Training team. Over the last 8 years, she has had the privilege of bringing Theraplay to communities across Canada, England, and the United States. Before training to become a Child Psychotherapist Play Therapist, Lorie devoted her life and studies as a Special Needs Resource teacher for children, especially those with Developmental and Physical Disabilities, including Autism. She has worked with the Ministry of Education Program Standards Unit (Ontario, Canada) as well as for the Ministry of Community, Family and Children’s Services, Special Needs Branch (Ontario, Canada) as a consultant in developing programming for children with Special Needs. Her involvement at the community level consists of being a past member of the Board of Directors for Blue Hills Child and Family Services in Aurora Ontario for three years. Lorie was the President for the Canadian Association for Child and Play Therapy (CACPT) from 2005 to 2010 and continues to volunteer her time on committees. She most recently became a Board Member (in 2014) for the Theraplay Institute in Chicago. She provides clinical consultation and Child Psychotherapy supervision to several agencies in Ontario and to Play Therapists and Theraplay Therapists all over the world. Pat is the Executive Director of the Adoption Council of Ontario and has worked in child welfare and adoption - private, international and public for many years. She has 3 grown sons and, like most people, she has many connections to adoption. Tedd is a father to 2 boys (biological brothers), adopted from CAS, with his husband Garry. They worked with a private adoption practitioner to become adopt-ready and were matched with their boys after attending one of the Adoption Resource Exchanges. Tedd is a very strong proponent of the work being done by Adopt4Life due to challenges he faced in finding support post-adoption. He wants to help make sure all new adoptive parents have a network to reach out to in times of need or support for dealing with the challenges that come with adopting children.